The figure is modelled seated with his three-legged toad. His robe opens at the chest and he carries a string of coins over his shoulders. The base is carved with stylised clouds. 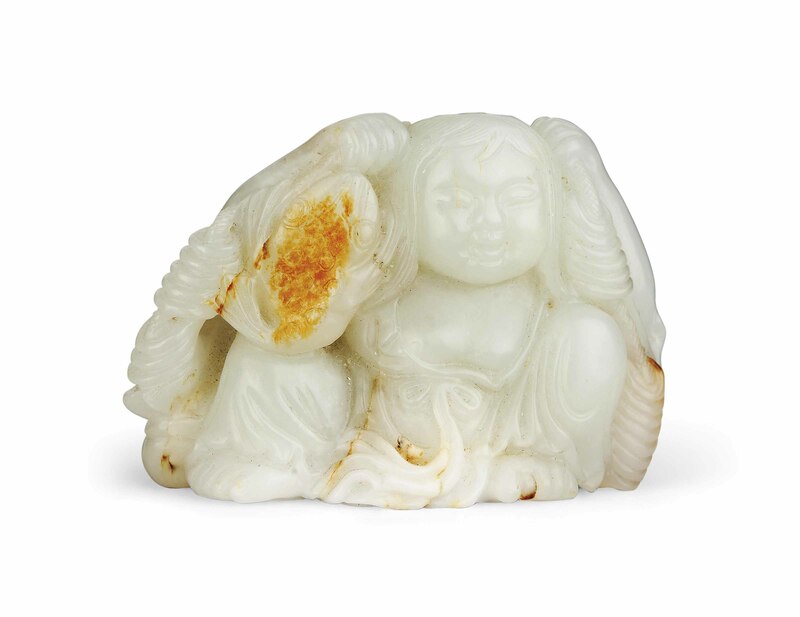 The stone is of a celadon tone with russet and creamy-white inclusions.